I've been playing with the new maya 2008 ext 2 muscle system. 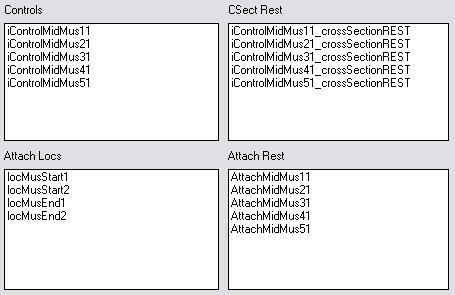 The old ext 1 muscles are now refered to as "simple" so I was not surprised at the apparant complexity of the ext 2 Muscle Creator UI. It's going to take some getting used to. I found this to be a major stumbling block as I tried to navigate my way around the various muscle cross-section curves and controls. This makes it much easier to find things. 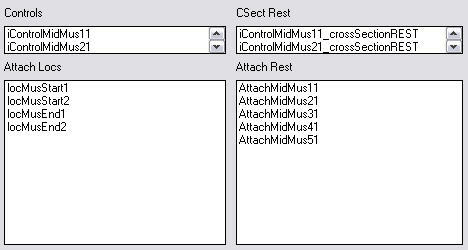 You can get my modified cMuscleCreatorUI.mel from the downloads page. It's not quite perfect though. I struggle a bit with the mel for formLayout. If you collapse one of the other tabs in the UI those fields will revert to their smaller size. To get them back again you have to close and reopen the UI. Oh well. Better than nothing.